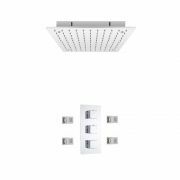 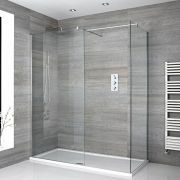 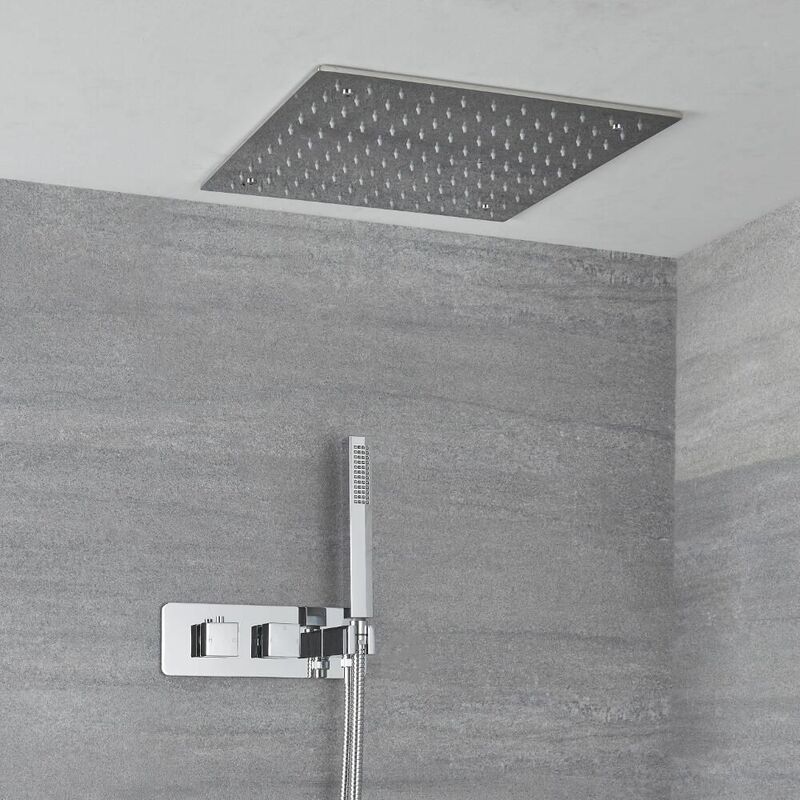 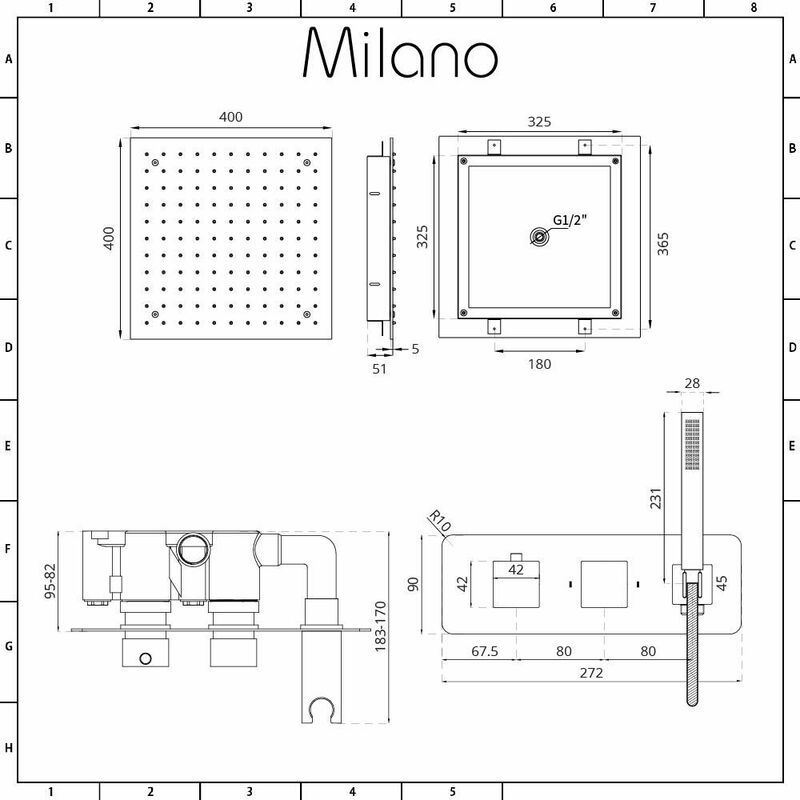 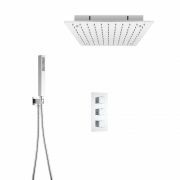 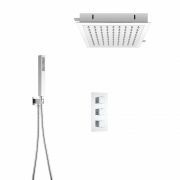 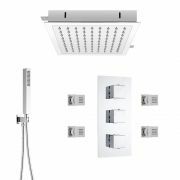 The Milano Arvo square twin diverter thermostatic shower valve with handset and 400mm recessed shower head will add sleek, contemporary style to any modern bathroom. 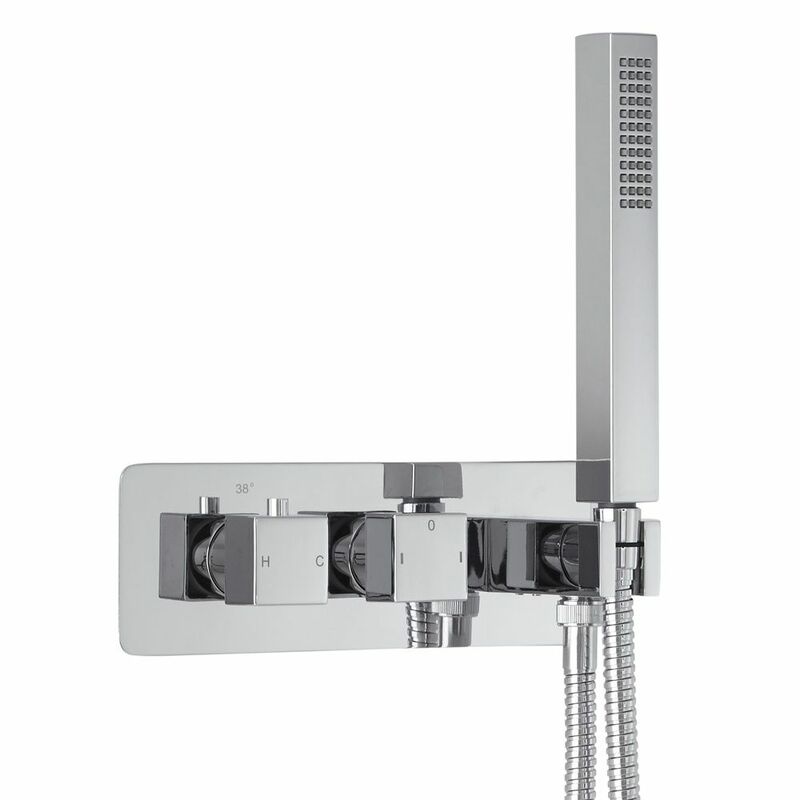 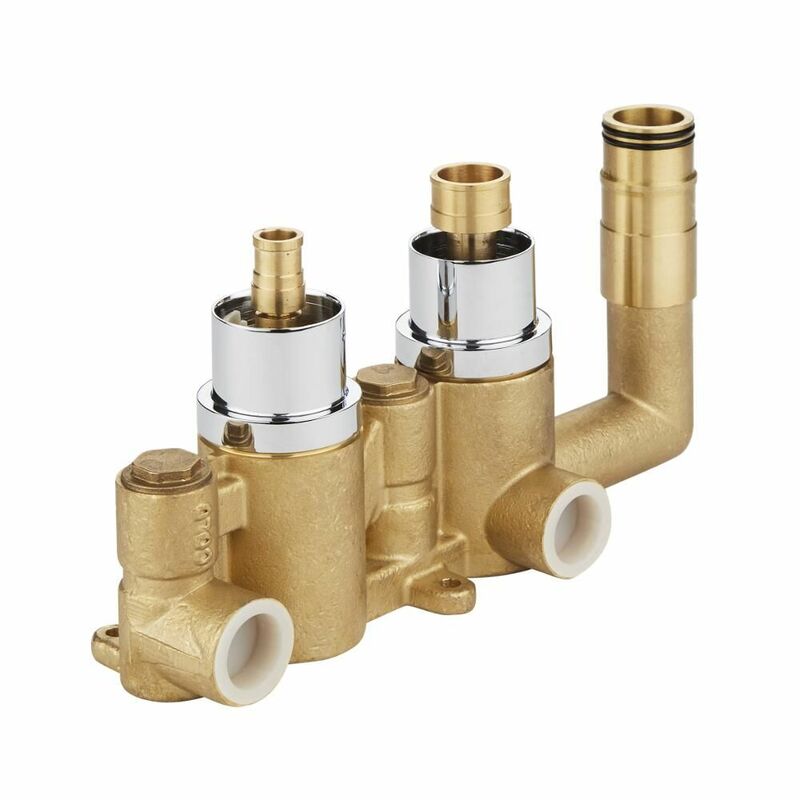 Featuring a chrome finish and square handles, the solid brass shower valve incorporates anti-scald technology to ensure a safer showering experience. 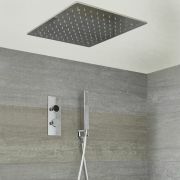 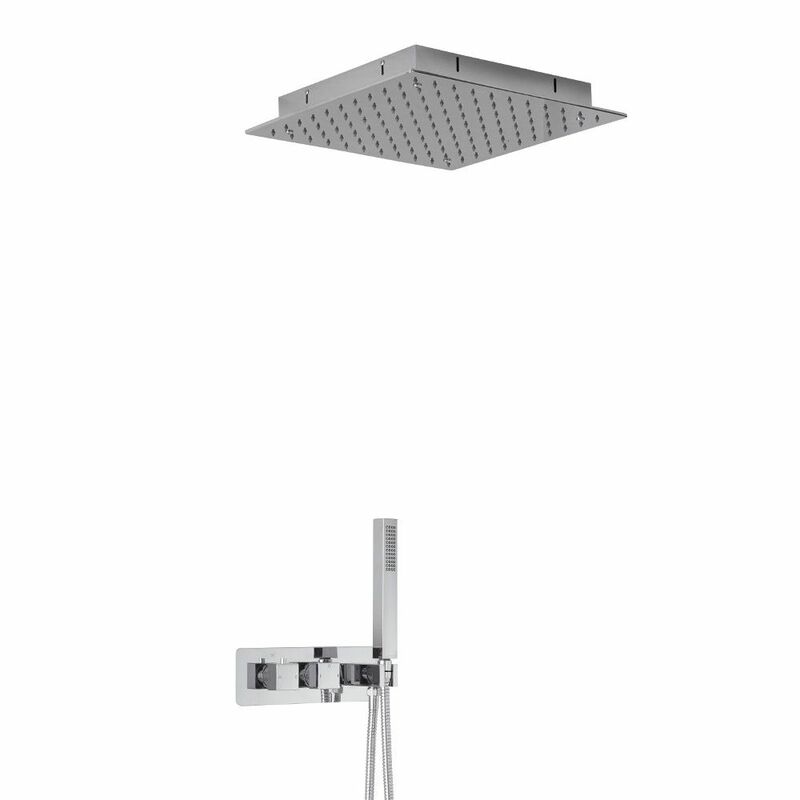 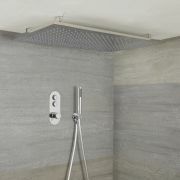 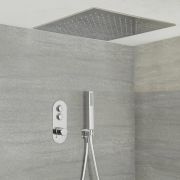 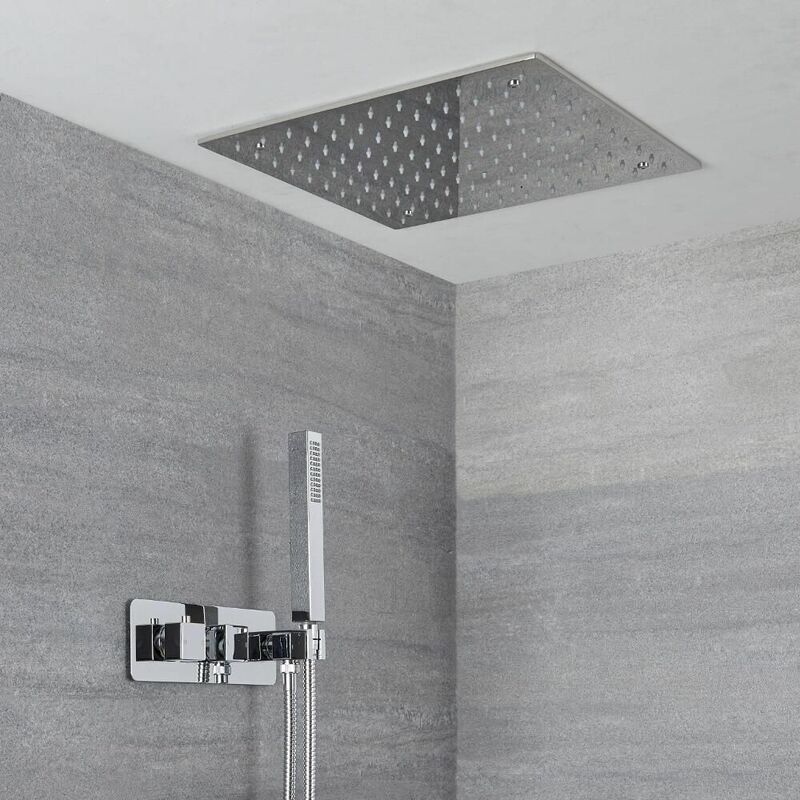 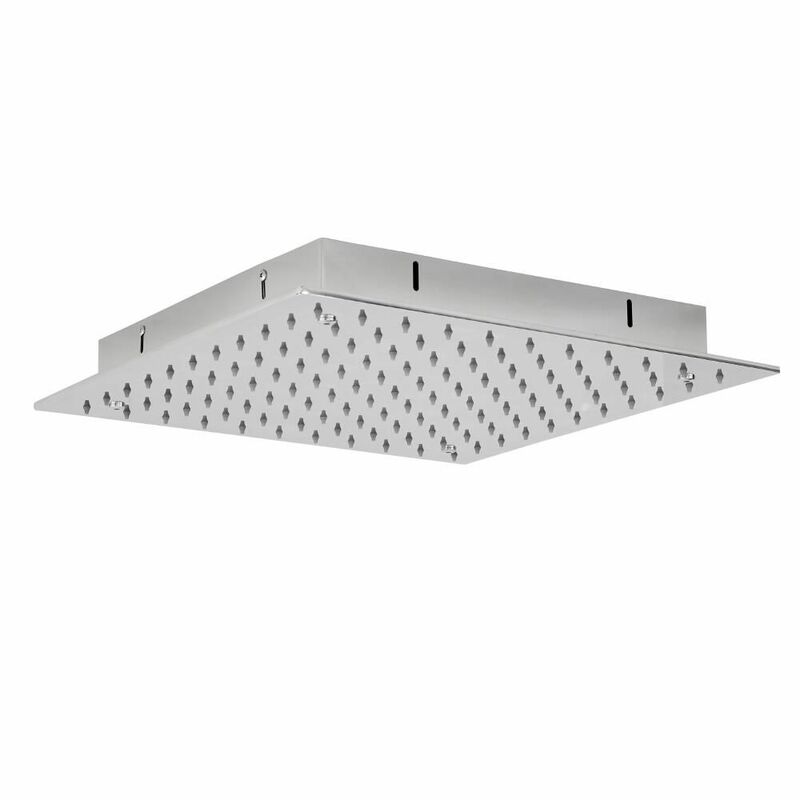 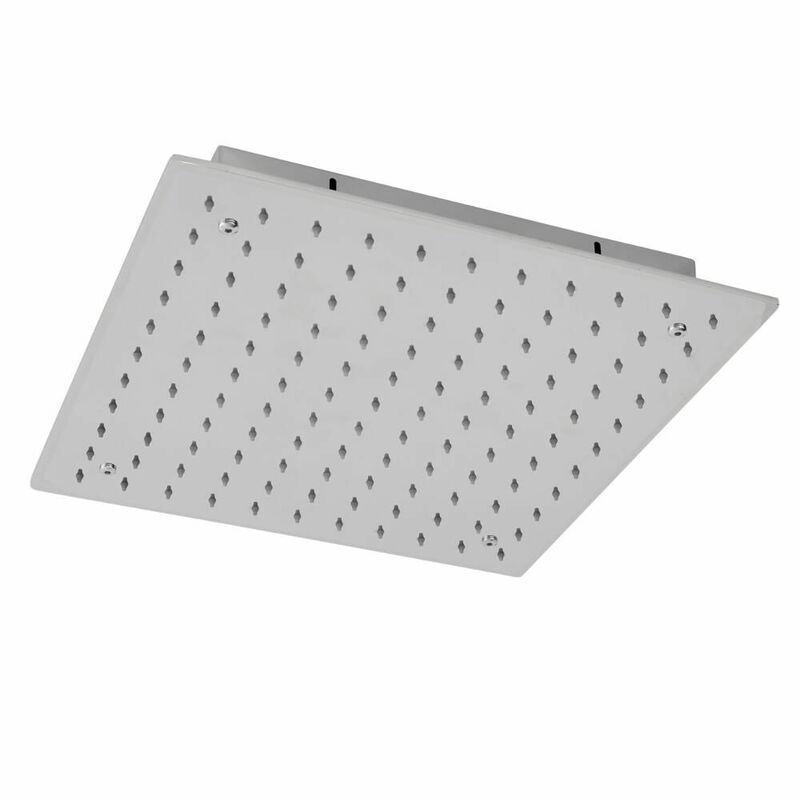 The shower head has been designed to be fitted into the ceiling for a more streamlined look. 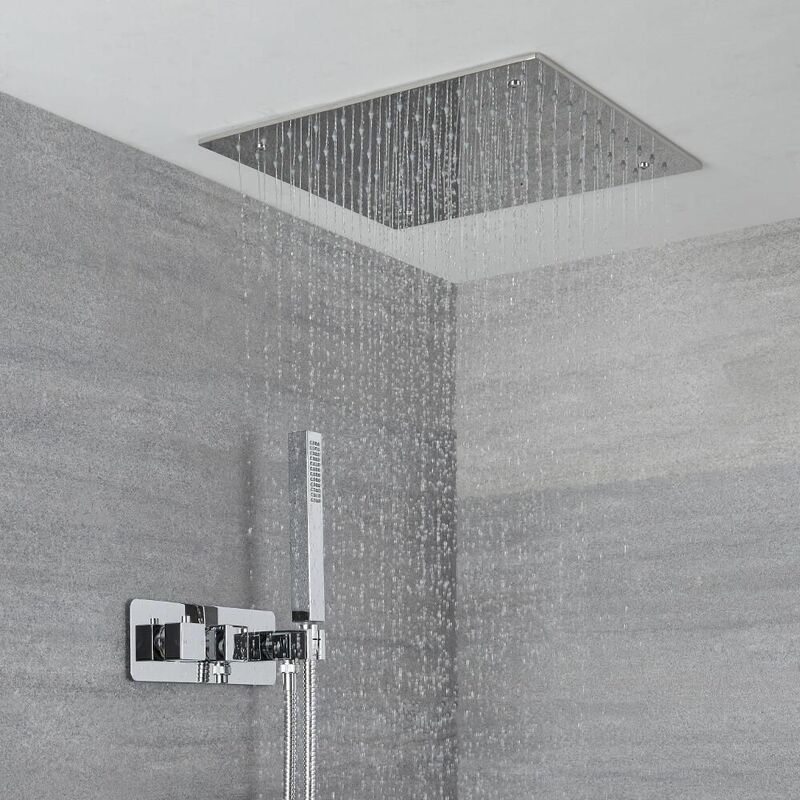 It deliver luxurious water coverage from 121 jets for a refreshing rainfall effect.